Surfing is a sport and a lifestyle that has massive respect for its history so after a few years in the making, Thomas Brookins’ is proud to announce “Talk Story”. Come out & meet Rusty miller and get a copy of his new book signed and dig into our own NY surfing legends and pay respect to the people who laid these tracks before us. 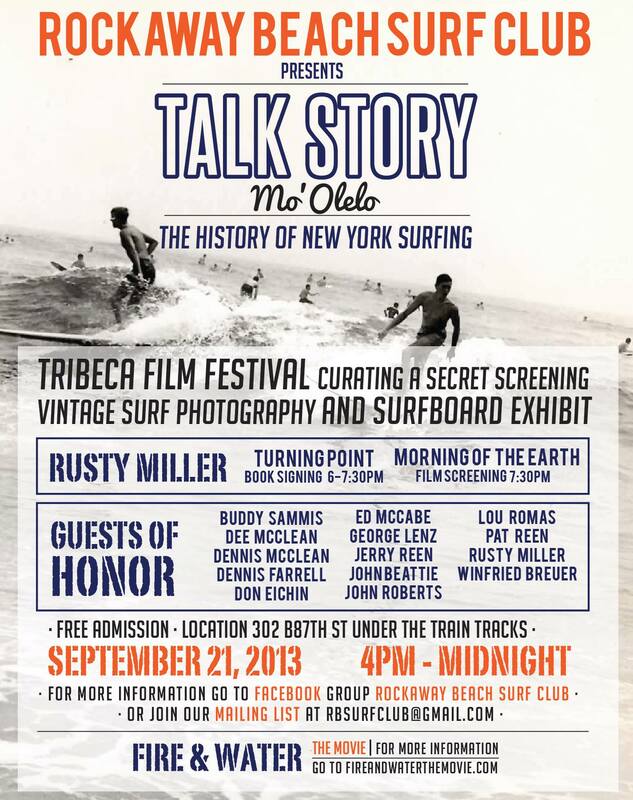 With help from Rusty Miller Fireandwaterthemovie.com and the TribeCa Film festival there will be to secret classic film screenings along with a gallery full of NY surfing images from NYC to MTK. Come and learn something you can pass on to others and our children!